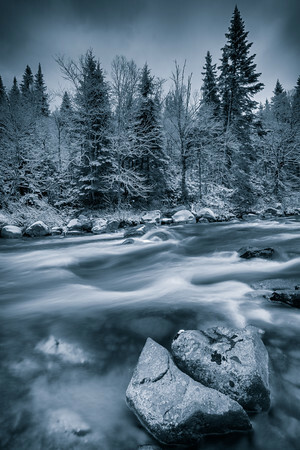 Black and white winter scene with tree,stones and a river. Dramatic blue tint to show the cold weather. Large depth of field.